Student loan debt is on the rise and the numbers are staggering. Total student debt is approximately $1.38 trillion and is second only to U.S. mortgage debt. If you’re like me, seeing these crazy dollar amounts can lead to information overload. Just trying to wrap my head around ONE TRILLION is a challenge. Rather than focusing on these headline grabbing numbers, it can be helpful to look at things on a more micro level. As you do, keep in mind these individual numbers are multiplied by millions of other individuals. This level of debt is not only a burden on students individually, but it is a burden on the economy as a whole. Student loan debt is nearly impossible to discharge in bankruptcy. It is critical to understand that bankruptcy laws have changed. If you find yourself in that unfortunate situation, it is likely that you’ll be stuck with your student loan debt. There is a misconception that you can include these debts in bankruptcy and it is very rare to be successful in having it discharged. And, considering student loan debt is usually the first or second largest source of consumer debt, bankruptcy could end up being a moot point. Recently, there have been indications that changes might be on the horizon which could make changes to this. In recent Congressional testimony, Federal Reserve Chairman Jerome Powell said “I’d be at a loss to explain why that should be the case,” and indicated it would be up to Congress to change the laws according to an article on CNBC. Student loan debt is on the rise. A report issued by The Institute for College Access & Success (TICAS) states that in 2016 the average student loan debt was between $20,000 to $36,350 depending on your state. Increasing costs, fees, and living expenses are contributing to the rising debt levels. It should be noted that these numbers can vary significantly depending your major and course of study as well as many other factors. Interest rates on student loan debt will impact borrowers. Interest rates on federal student loans are now more closely aligned with market interest rates. While rates are low now, they may not be in the future. The current rate for undergraduates is 4.45%. New laws have put caps on those rates at 8.25% for future years. If rates were to rise to this level combined with rising debt levels, the impact on borrowers and the economy as a whole would be significant. At 4.45%, your monthly payment is $310.19 and the total interest you’ll be pay is $7,223.13. With same loan at 5.45%, your payment is $324.84 with total interest of $8,980.21. I’ve put together a video that walks through the importance of using loan amortization calculators to more fully understand the interest costs of loans. Using private loans (non-federal) can be risky. According to TICAS, loans made by banks and private lenders typically have the highest interest rates for those that can least afford them. The report goes on to state that private loans lack flexible repayment options that are often found in federal student loans. These loans are often used to fill the gap between what you receive from federal loans and other sources. However, it may require a co-signer by a parent or other individual with an established credit history. This can be problematic for the co-signer should the borrower have difficulty making payments. It is also important to pay close attention to what you’re agreeing to. Some of these have variable rates and longer payment terms. A fixed rate will provide consistency and allow you to plan more effectively. Predicting future rates accurately is as difficult as predicting the stock market. In 2012 when mortgage rates his multi-decade lows, many financial experts said rates would never be that low again. After rising from there, four years later in 2016, rates were right back down to those historically low levels. While it is entirely possible that rates will go higher, there’s no guarantee. But if they do, you’ll be glad you have a fixed rate loan. Just because you CAN do something doesn’t mean you SHOULD. Banks and financial institutions are all too willing to give students a loan. Don’t borrow funds simply because the bank is willing to lend it to you. Before you borrow, think beyond college graduation. There will be other big purchases to make like homes and cars. The more you shell out in student loan payments, the less you can devote toward a mortgage or retirement funds. The more debt you carry the greater the possibility of negatively impacting your retirement funds. 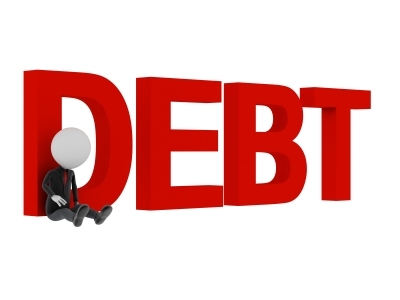 I have seen many individuals get so fed up with debt that they will use any source available to rid themselves of it. The worst place to take funds to pay off debt is from tax deferred accounts like a 401k and IRA. This is especially the case if you are under 50 due to the penalties involved. Unfortunately, this is often the path of least resistance and while it may feel good to finally rid yourself of student loan debt, you have dealt your retirement a serious blow. As college costs continue to rise, the impact of borrowing is increasingly significant both on the borrower and the economy as a whole. This demonstrates the need to plan for education costs very early on while making economical decisions on how, where and when to pursue an education. Without minimizing the importance of a college education, it isn’t worth a lifetime of insurmountable debt. Do you have questions about student loan debt? I was really lucky that I graduated without any student loans. The student loan crisis is really hurting young adults. New graduates don’t make much money to begin with, and the student loans are just an extra burden.